In february, a video was released of NBA Youngboy body slamming his girlfriend. She claimed they were “Just playing”, but he was arrested for the incident. Now he’s trending on twitter and other social media as “UFC Youngboy”, after his girlfriend Jania was seen with a black eye. 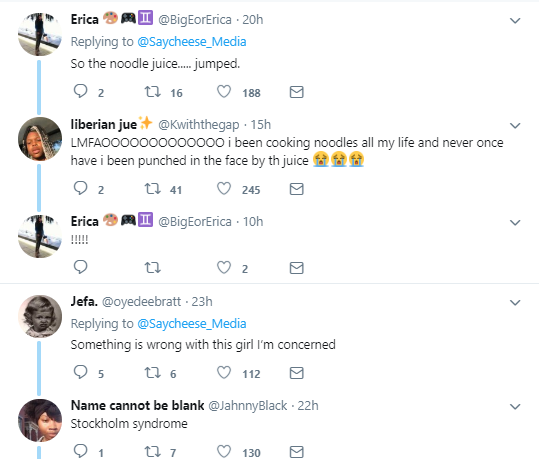 His girlfriend went on instagram live to address the injury saying the bruises happened while she was preparing food, and noodle juice jumped out the pot and hit her in her eye. Now his mother has gone on IG live to weigh in on the situation.